It wasn’t a cat stuck in a tree but a black kitten trapped in a water drainage pipe that summoned Menlo Park Fire Protection District firefighters to Selby Lane in Atherton, CA. A resident called the fire station to report that she had heard a kitten crying all morning and discovered that it had slipped down the drainage pipe. Firefighters used cellphone photos and video to locate the kitten trapped at least 14 feet below a concrete walking deck in a pipe that was only 4 inches in diameter. San Mateo County Animal Control was called to the home to take over the rescue operation, but when its efforts failed, the firefighters were summoned back. 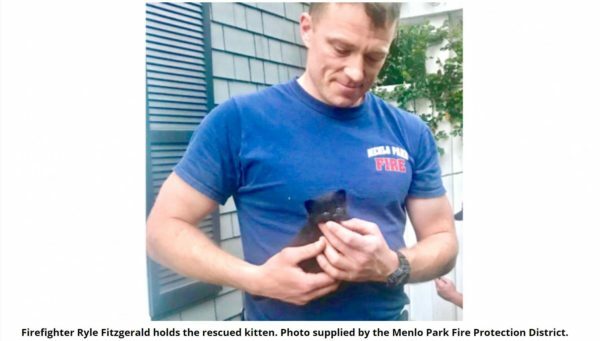 The kitten was named “Ryle” after its rescuer, who was dubbed the “cat whisperer” by his crewmates and Animal Control officers. Fitzgerald is considering adopting the kitten. 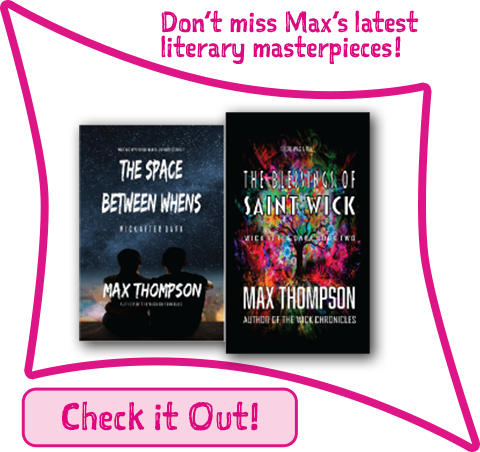 “It’s amazing all of the strange predicaments both humans and animals can get themselves into. Just when I think we’ve seen it all, something new comes along,” said Fire Chief Harold Schapelhouman. I have to say, these guys earn their stripes in their jobs, life and death—theirs and others. But they also have so much compassion and time for all those in need be they cats dogs or other fellow creatures. I do hope the little kitten grows up and finds as loving safe home as the hands that rescued them.